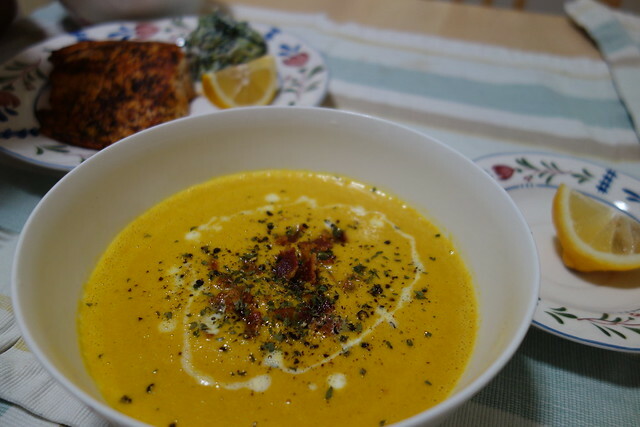 If you have pre-made chicken stock from the freezer, this dish would be super easy to make with breathtaking looks and great tastes. 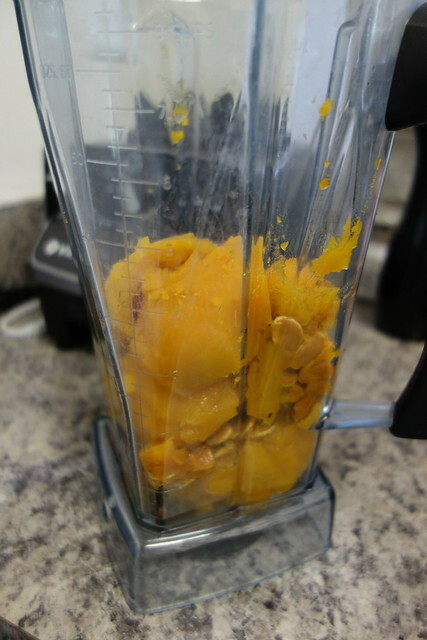 I blended the seeds with the flesh using the amazing vitamix. It turns out really smooth. I can not taste any little bits of seed at all. Also, these seeds add a little nutty flavor to the soup which allow me not to add extra nuts or cream into the soup mix. 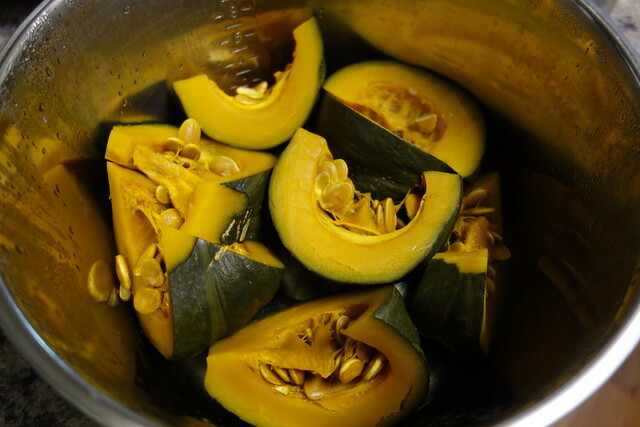 Steam or bake the whole kabocha squash pieces with seeds. 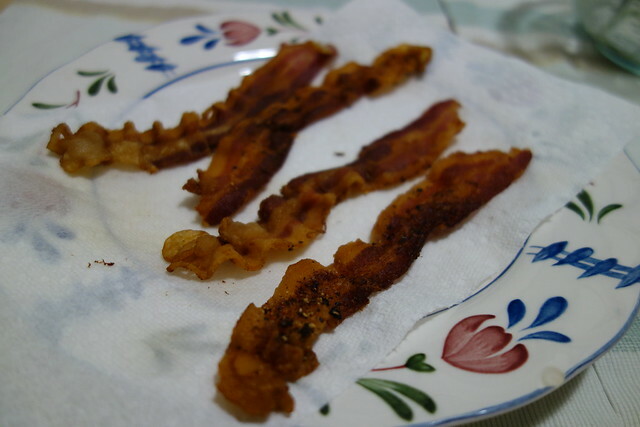 Pan fried the bacon strips until crispy then set aside. 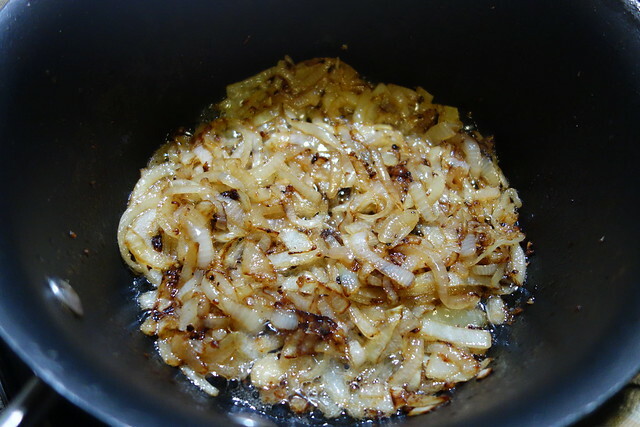 In the deep sauce pan, use a little bacon fat to saute the sliced onion and garlic in medium to high heat until the onion is lightly caramelized. 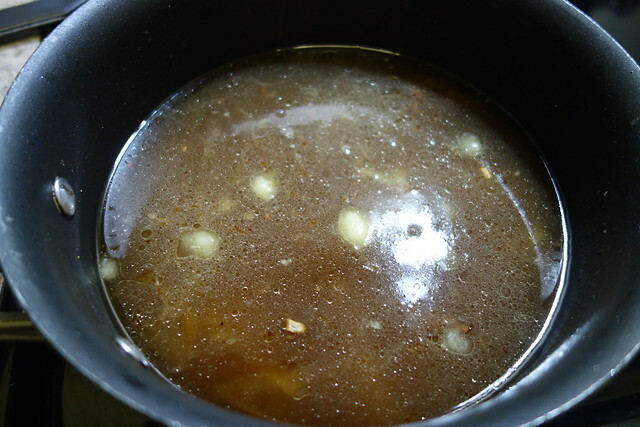 Pour in the chicken stock and black pepper, then turn the heat down a little to simmer until it is almost boiling. Garnish with some parsley flakes, bacon flakes, freshly cracked black pepper, and 1 tsp of heavy cream, then READY to SERVE!! The bacon is an interesting addition! Next Next post: [Columbia, MD] Mission BBQ: Awesome food and vision, but NO military discount, REALLY?